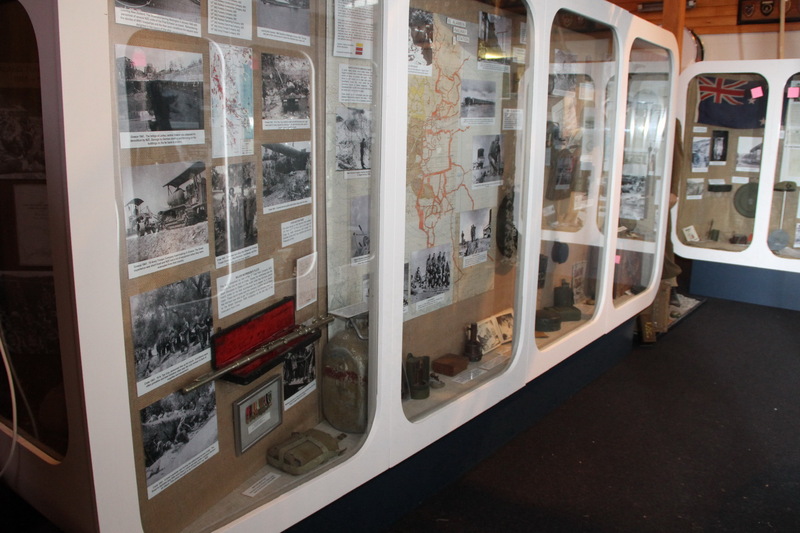 The Engineer Corps Memorial Centre (ECMC) Museum is housed in the ECMC main building and comprises 35 display cabinets of all sizes, comprising a range of displays in chronological order. Some 80+% of the 60,000 items of the RNZE Corps collection are on display, with the balance remaining in storage awaiting inventory, refurbishment and installation. 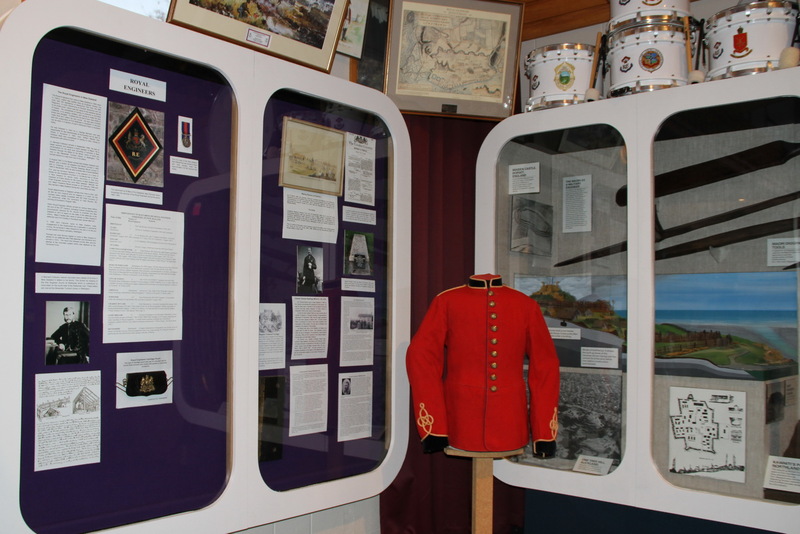 A chronology of the Corps (from the early 1800’s to the present day covers the key milestones and important occurrences in the Corps’ history at the entrance to the Museum and guides visitors to the sequence of displays. All of the Corps’ collection are assets of the RNZE Charitable Trust and are covered by a special comprehensive insurance policy. 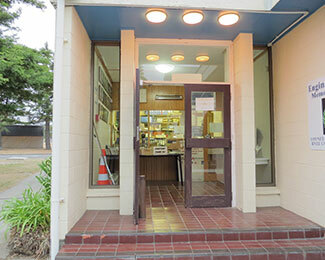 The Corps Museum is open to the public every Thursday (except public holidays), from 9am to 5pm. It is best to book larger visit groups (by email or phone) beforehand, so that access to Linton Camp can be arranged with the security staff. The ECMC is located at the eastern end of the Camp, adjacent to the Chapel and on the right hand side towards (and before) the Fire Station near the exit gate to the housing area. The ECMC complex is sign-posted, but if in doubt, seek assistance from the security staff at the Camp entrance gate. Apart from the various displays within the ECMC Museum area, there are a number of other projects being undertaken by the museum (volunteers) staff. These include the cataloguing and inventory of items, identification and naming of artefacts and photos, information and resource sorting, scanning, digitising and post-processing of heritage and graphic material, refurbishment of current displays, establishment of new displays, model making, photography, introduction of interactive displays, various conservation, preservation and protection activities on artefacts and memorabilia, map mounting, electronic displays and so on. 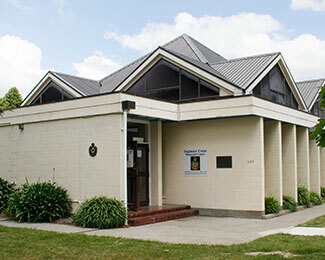 The Museum is used regularly by members of the public, Armed Services, NZDF and others for research purposes, by tertiary education institutions, historians, researchers, Ministry of Culture and Heritage staff and more. It is an excellent resource base covering military engineering and history, professional and technical engineering aspects, New Zealand history and so on. Uniform Store – a room within the museum area is used to store a wide range of uniforms, headwear and other dress accoutrements from WW1 to the present day. These items are sued in the various displays throughout the museum, as well as being available for other external display commitments. This is an environmentally stable and temperature-controlled room, to ensure the conservation, preservation and protection of clothing and other fabric holdings.